‘Name That Dress’ Contest Winner! We chose this name because the witty wordplay fits the dress perfectly and it channels such a lovely woman, the silent movie star and “it girl” of the Roaring 20s, Ms. Clara Bow. Winner Opal Ray even included a picture of Ms. Bow wearing a dress that bears a striking resemblance to our own little gray one. So, congratulations Opal, and thank you to everyone who participated! It was our most successful contest to date and we loved reading through each and every one of your comments. As promised, you have all received your first A+ of the year! I don’t mean to be a detective, but I thought I should point out that I had noticed that Shannon had posted the same name suggestion 38 minutes before Opal Ray. I thought of old time actress Clara Bow so I think it should be named in her honor. I could see her wearing this in the 20â€™s and even if she lived now a days she would rock this dress. Close replica of dress worn by Clara Bow herself! Oh no! 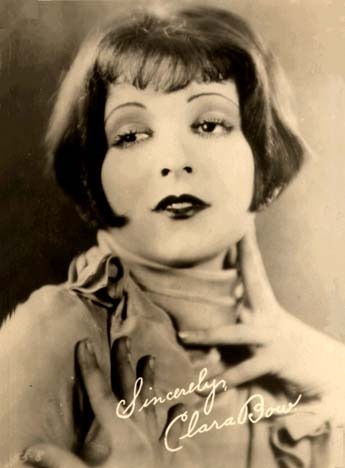 Good eyes, “Clara Bow!” Thank you so much for pointing out our error! We’re so embarrassed and sorry that we somehow missed Shannon’s comment. She will also be receiving the dress in her size and the additional prizes. So, congratulations to Shannon as well! Thanks ClaraBow for noticing. I really appreciate it! 🙂 Congrats to Opal Ray as well! !